Before you can update your site to Pro you'll first need to convert your X License into a Pro License. 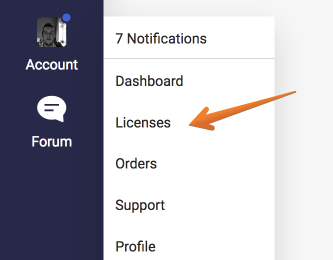 As long as you registered your X license prior to the launch of Pro, you can convert your license at no additional charge. This is to confirm that you want to convert your X license into a Pro license. Licenses cannot be converted back. If you're happy with everything go ahead and click on Yes, proceed. As with any upgrade you should first test the process on a staging/development environment and not your live site. If you aren't upgrading from X 4.6.4, you should first update to the latest version of X and then proceed to update to Pro. The upgrade to Pro has not been tested from X 3.X.X. In addition, make sure you've taken a backup of your site before proceeding with any upgrades to ensure you have a version you can roll back to. Upgrading to Pro from X couldn't be simpler. Simply upload Pro either via FTP or via your wp-admin > Appearance > Themes > Install and activate. All your settings and content will be automatically migrated to Pro from X. You may notice that when you activate Pro, it automatically deactivates Cornerstone. This is because Pro uses a native family of builders of which the Cornerstone you know currently is just a small part.If you are using Pro you will no longer need to use Cornerstone as a separate plugin. If you are using X you will continue to use Cornerstone as you always have as a separate plugin. Ultimately the choice is up to you as to which product you wish to use. Both X and Pro will continue to be updated and supported with the main difference between the two is a family of interconnected builders that are included in Pro. 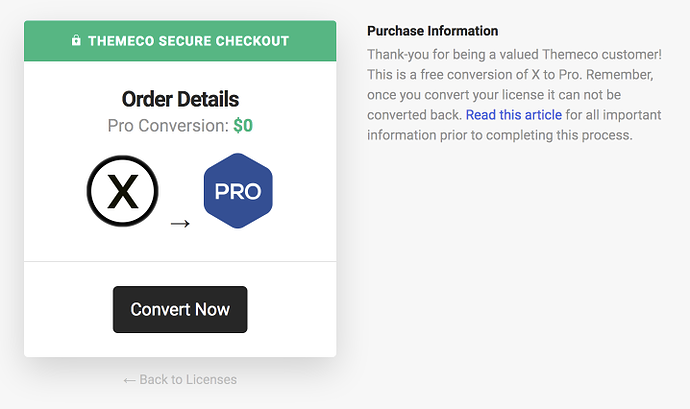 You are welcome to keep using X for all your licenses, convert some of your licenses to Pro, or convert all of your licenses to Pro. Going forward, you have the choice of X or Pro based on the needs of your project. One product is not lesser or greater than the other. Description: Make all of your modifications to Pro in this child theme. You've now successfully converted and updated your site to Pro. I Need to be upgraded to pro and? How to add Content in the "fixed left" Header? How do reassign a free Pro upgrade? Upgrading to PRO - Guides? Bought PRO but want expanded demo - how to refund PRO, purchase X then upgrade? Pro Theme - Where do I download it? How can I get a demo from X into Pro? May I conversions to PRO form Envato X? Can the Pro builder be installed separate of the Theme? Converting X theme with same design on Pro, Possible? Header (Social icons) and Labels? How to delete or choose Footer underneath products? How Can I Make A Global Header that shows on all pages & posts (desktop & mobile)? How to control size, cropping of Under Construction background image? How to figure out if I have X, X-Pro, or Pro? Upgrade license w/o change to current website? Conversion from X to Pro is not working! Incorporating an x theme demo into Pro? Upgrading from X to Pro Guide? Updated X and switched to pro - doesn´t work! Where do I find Pro? Will upgrading a website built on ThemeX to Pro mess it up? Sticky Hamburger Dropdown Menu that can show widgets? How to create this type of header? After switching back to X from Pro, "The element that calls itself classic:section could not be found"
Pro isn't showing in Wordpress. How do I convert it? How to switch to Child theme? X to Pro Conversions Still a Thing? And the Cost? I just converted from X to Pro—so where do I get Pro? X-Theme - Pro Conversion - How to? Can I have a header like mailchimp? 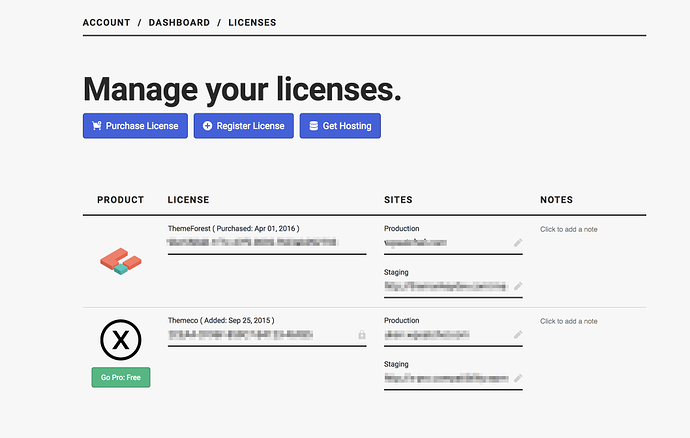 Do you need an X Theme License first to upgrade to X Pro? Upgrading X to PRO - Nothing to upload?